this week's giveaway is courtesy of Minerals Mate. i was excited when they contacted me to host a giveaway because i have been in the market for a makeup "palette" and this has everything i was looking for. 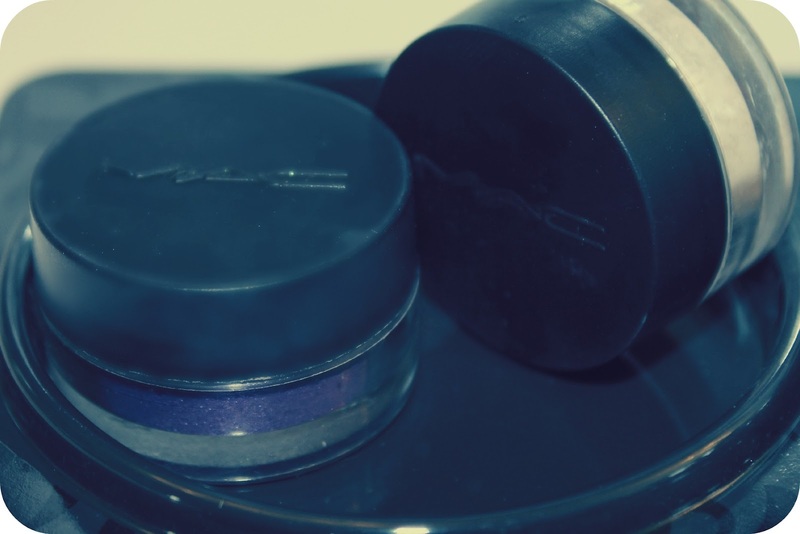 most mineral based products are messy due to lids that are meant to double as an application surface. the Minerals Mate allows you to pour your powder into a compartment and use it until empty, rather than pouring from container to lid to container every time you apply makeup. 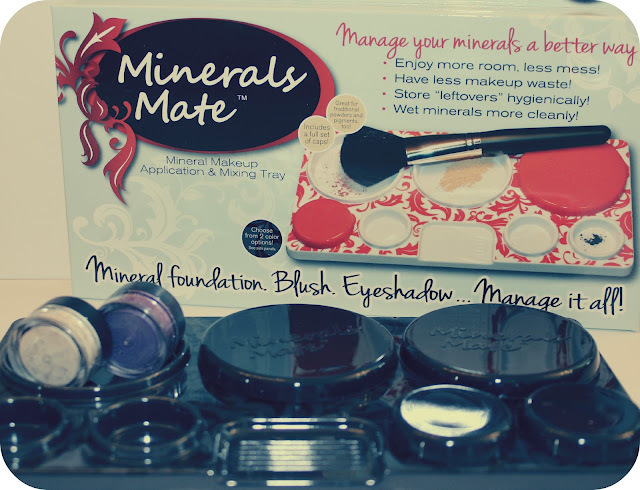 Minerals Mate was designed for mineral makeup application but also works well with creams and loose powders. lids for each "well" allow for portability which makes Minerals Mate a great option for traveling. this is also a good solution for "Foiling" eyeshadow (you can check out my tutorial here). blending your shadow with liquid can be messy and possibly contaminate your original supply of makeup. your Minerals Mate makes blending easy. my favorite thing about the Minerals Mate is that it is dishwasher safe. if you know me personally you know i put everything in the dishwasher. it is my own personal autoclave, i.e. sterilizer. in case you don't have mineral or pigment makeup i have included two MAC pigments to get you started. a gorgeous purple shade and a white shimmer, perfect for summer. I liked your challenge submission! i liked you on Facebook @Micaela Staheli! Do we have to wait for the next challenge to open up to vote in it? Please,tell. where I can find your challenge submission? I liked your facebook page and voted! I voted today and I already liked your facebook page! I liked your submission page! you know I vote everyday!! I liked your fb profile! I liked your submission too! Good luck! I've already liked you on facebook. I also voted for your challenge submission today! LOVE Anne. Voted for your submission again today; have a good one! Another vote today! Can't believe the week is almost up already. I love this Minerals Mate tray. i got one for Christmas with a starter kit from Bare Minerals and it's been great.